StyleSaute | Be a MAN and love thy Style Girlfriends. Know "What-to-Wear" and Look Awesome. Well, there are brands we love and the tech we adore, but seeing it right out there on our fave celebs is a complete new thing! Love a little bling on your tech? Well, this might give you some. 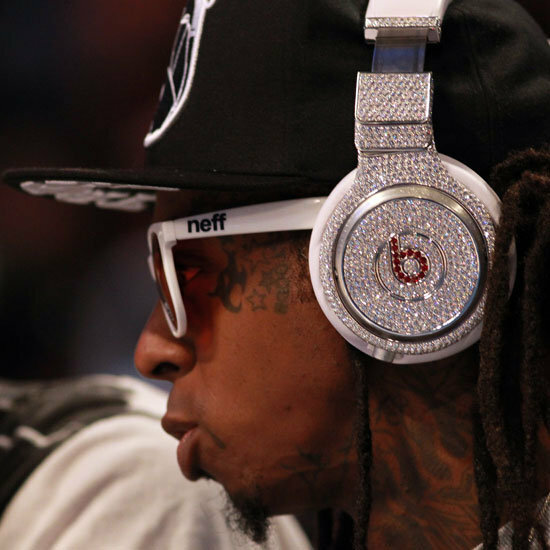 Lil Wayne was spotted with these diamond studded Beats designed by Dr Dre. Second up is, Justin Timberlake. The man is not just up for technology lover kinda roles, but is an entrepreneur in real life! The musician turned actor is quite a Sean parker in real life as well, as it goes with his investments in Stipple, Myspace and many more! Care for some tech, Sir? Another tech fan, is Black Eyed Peas singer/rapper Will.i.am who was earlier appointed as Creative chief for teh semi conductor giant, Intel. He dabbled in some tech and made some moves for iphone cases and sm’more. This cutie patootie of an actor, is quite an actor and a serious technology investor. His company called the “A-grade investment” has invested in Skype, FourSquare and more, and the man himself has been an ex-Lenovo Product Engineer. Share your comments below, on who do you think is your technology fashion inspiration, and Lucky ones might win a secret entry for a technology-event to happen in Delhi on August 6. 😀 Keep glued for more info!